Originally from Santa Barbara, CA, Alexis Cottavoz-Usher recently moved to Los Angeles in 1998 to focus his energies toward becoming a commercial director. Finding it difficult to penetrate the agency world, he is now working with other independent talents to develop his own creative story boards. In the mean time, this collaboration between industry peers has lead to the production of a few short films, such as Apocalypse Knowels and Pure Funk. Clichés aside, Alexis is without a doubt the most passionate, motivated driven doer, don't take no for an answer, here to stay, outside of the box, creative directors to break into the world of professional film making. was founded and is currently run by Alexis Cottavoz-Usher. The company has focused primarily on surfing and board sports since 1991, with 16 successful international titles. The films can be purchased directly from Stormproof Films and are also being distributed throughout the US, Australia, Japan and Europe. 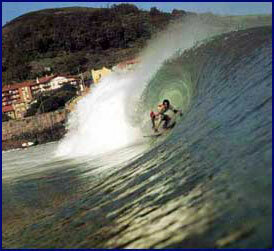 Alexis started his career as professional surfer (World ASP, PSAA and EPSA Tours). These competitions took him to exotic locations such as Australia's Surfers Paradise and Bells Beach Victoria, Bali's G-Land, Japan's Chiba, Hawaii's North Shore of Oahu and Honolua Bay Maui, Puerto Rico's Hobos, the Bahama's, and the European Coast including England, Wales, Ireland, France, Spain, Italy, Portugal and the Mediterranian. Traveling to these locations as a professional surfer, Alexis began his next career as a photographer and cinematographer, when he decided to make a documentary of leading surfers around the world. 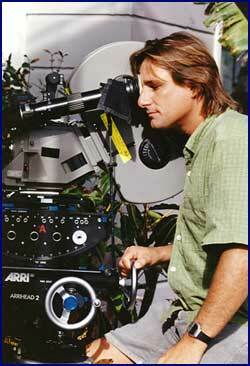 These surf films then catapulted him into filming other captivating and exciting extreme sports from around the world. At the same time he also shows you the human side of all the leading pro athletes.